The combination stacked bar-line chart below showing coffee consumption in the 20 countries with the highest consumption per capita. The bars indicate cups of coffee consumed per day per capita. The line indicates the total coffee consumed in millions of cups. We use a data row to indicate the country population. While Netherlands consumes almost twice as much coffee per capita as the next highest country, the US’s total consumption is significantly greater than any other country. This entry was posted in Bar-line chart and tagged Food, Global by Aploris. 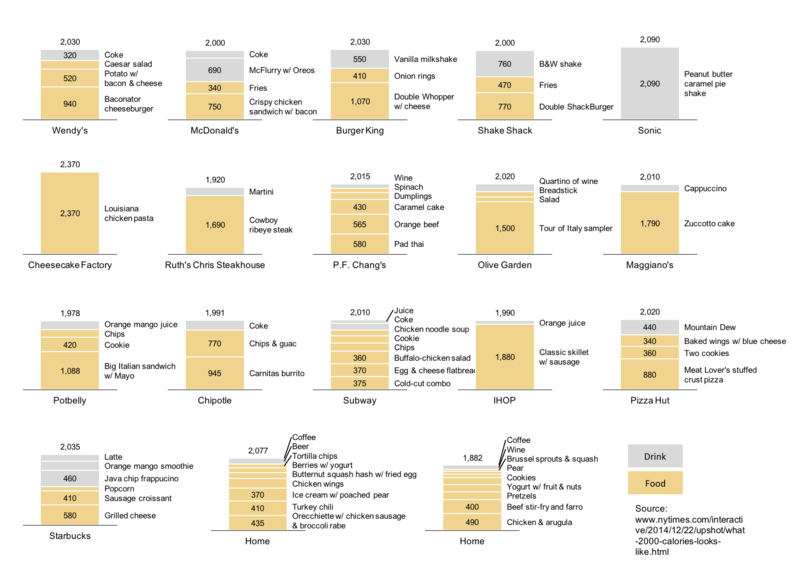 The stacked bar charts below show what 2000 calories looks like at different popular US restaurants. At Cheesecake Factory and Sonic a single item is over 2000 calories! Each chart was individually created with a fixed vertical axis to ensure they can be compared across each other. Food and drink are segmented by color. These charts were built using the Aploris add-in for PowerPoint. Aploris, compatible with Mac and Windows computers, allows users to quickly create insightful business charts including Marimekkos and waterfalls. This entry was posted in Bar chart and tagged Food by Aploris. The cluster bar chart below compares the cost per pound of rotisserie and home cooked chicken at several American grocery stores. A data row is used to highlight the savings. Except for Costco and Smart & Final, buying a raw chicken and cooking it at home is cheaper than buying a rotisserie chicken. Costco and Smart & Final likely use rotisserie chicken a loss leader, attracting customers to their store. This chart was built using the Aploris add-in for PowerPoint on Mac with the latest 64-bit Office. The bar chart below shows the price of a Big Mac in the 6 most expensive and the 6 cheapest countries. Published by The Economist, this ’Big Mac Index’ is a fun way of comparing purchasing power parity. 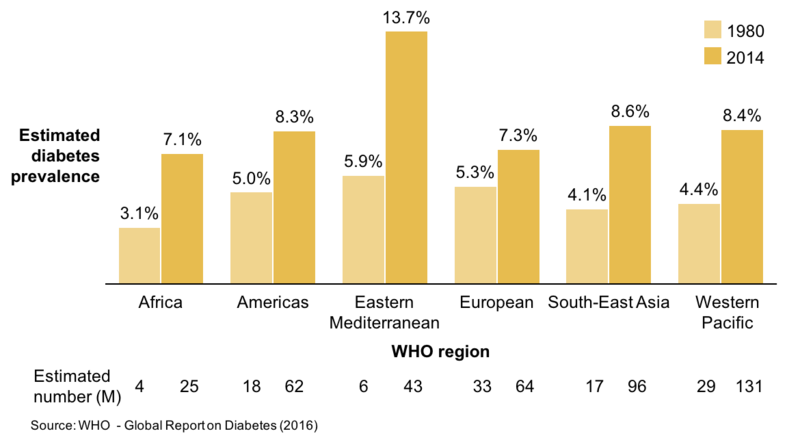 Although, there are several limitations in the comparison as the Big Mac varies in weight and nutritional content across countries. In India, for example, McDonald’s doesn’t serve beef and the Chicken Maharaja Mac is used instead. The bar chart was built using the Aploris charts add-in for PowerPoint. This entry was posted in Bar chart and tagged Food, Global by Aploris.